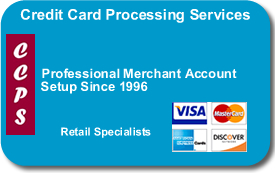 One of the most satisfying things about being in the merchant account business is hearing back from our customers that the service that we provided to them was helpful in their business. Over the years we have heard back from hundreds of our merchant clients and have kept many of these letters and emails in a file folder in my desk marked “Happy Camper Merchants”. I am pleased to share a few of those with you. Hi Kevin! Thanks for getting us approved so quickly. By doing so, we were able to accept mc/visa at a conference we were attending last Friday/Saturday. I was relieved to see how simple the process is! And I’m sure we made about $300 in sales that we would not have made without accepting credit cards! Thanks again! Kevin, Thanks a million for your help. Thank you for your assistance in getting me setup with an online credit card system. I can hardly wait! Thank you so much for your fast and friendly service. Thank you, Kevin. I am pleased to have found your service. I am looking forward to our next show so I can use my account! You are very popular on the group’s message board. I’ve used them since the 4th of July weekend and had absolutely no problem. My service was activated within 24 hours & the money has been in the bank no longer than 3 days from a weekend show. I’ve also recommended several people that are equally pleased. You answered all of my questions. Thanks Kevin, you are wonderful… I will refer you to my friends too. Thanks for your patience. You always are very helpful to me, very professional. Now you are humerous and have made me laugh. Thanks so much for helping us put all of this together. You have indeed been a great blessing. I appreciate your integrity and wisdom as we have walked through the process of receiving payments by credit card. Kevin, You’re awesome! Thanks for going the extra mile. They are excellent…have been using them for about 2 or 3 months now – thanks to Evelyn’s steering me to try them. And Kevin is good as gold, in fact mention to him that you are with this online group etc…he was really impressed and humble when I mentioned he has a good name with those of us here that use the service through him. I received my machine and slips in less than a week, he knew I had my first show coming up and he got the job done. Can’t say enough about him and the professional way he does his job. Hi Kevin, Thanks for your immediate response…the directions are very clear and trust I won’t counter any complications. Appreciate your help in all this. I just wanted to say thank you for getting the work done so quickly.